Begbrook House Care Home is a purpose-built nursing care facility that is situated close to Bristol but surrounded by scenic countryside and attractive woodland. 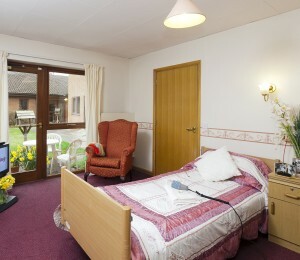 This is a homely and comfortable facility with good wheelchair access, that offers residents the choice of four lounges depending on whether they feel like socialising or relaxing, and an enclosed garden area. Meals are prepared on-site by trained chefs, offering a varied daily menu of tasty and nutritious food. Most residents seat communally in the restaurant-style dining room, but meals may be taken in rooms if preferred. Special dietary requirements will be met. Convenient travel routes and shops are located nearby, with residents looking to enjoy an independent lifestyle able to travel to and from Bristol, as well as taking part in the home's popular activities schedule. The recreation and activities team oversee everything from bingo and knitting club to sing-alongs and special events. If it’s sunny, residents can go outside and appreciate the best of the day. Activities are planned a month in advance by the recreation and activities coordinator. Key calendar events are always made extra special at Begbrook, because they enjoy any excuse for a party. For Begbrook, every day is a new opportunity. To engage, encourage and appreciate. To be there when it matters. Involved in all the little moments of kindness that help make life feel brighter. When sharing time, conversation and activities means everyone contributes something different. By sharing a little love, every day, Begbrook helps those they care for to love every day. We understand that moving into Begbrook House will be a considerable transition, but one we try to make feel as easy as possible. Your room is your own personal space, which is why we encourage you to personalise it if you like, by hanging your favourite pictures or bringing small pieces of furniture.